The switch from coal- and oil-fired power plants to natural gas-fired plants has become a global phenomenon. This is reflected in gas production and consumption statistics. World Energy Council Figures1 indicate that the production of natural gas increased by 4.1% between 1996 and 1999. In China gas use increased by 10.9% in 1999 and in the Asia-Pacific region the increase was 6.5%. Africa's consumption increased by 9.1%. Globally the USA was the largest consumer of natural gas in 2001 according to the US Energy Information Administration (EIA)2 followed by Russia, Germany, the UK and Canada. Russia and the USA, meanwhile, were the main producers, accounting between them for 44% of annual production in 2001. They were followed by Canada, the UK and Algeria. In Europe gas usage is expected to increase dramatically during the next two decades. According to Eurogas3 consumption will rise from 332 million tonnes of oil equivalent (mtoe) in 2000 to 471 mtoe in 2020, a rise of 42%. Europe's principal users in 2000 were the UK, Germany, Italy, France and the Netherlands. Of these only the UK and the Netherlands produce significant quantities of gas. The other countries import most of the gas they consume. Of course not all this gas is burned in power stations, but a significant proportion of it is. In the USA, for example, power generation accounted for around 20% of natural gas in 2001. As has already been noted, the driving forces behind the increasing popularity of the fuel within the power industry are economic - gas turbines are cheap and can be deployed rapidly - and environmental. Natural gas produces lower levels of atmospheric pollution that either coal or oil when it is burned. This includes sulphur dioxide, nitrogen oxides (NO*), hydrocarbon particulates and carbon dioxide. 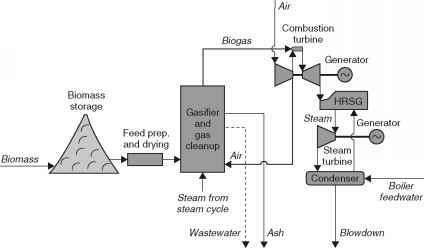 Thus it is easier to meet emission regulations with a gas-fired power plant than it is with a plant burning either coal or oil. The gas industry is keen to promote the idea of gas as a clean fuel but critics would argue that its use is at best a stopgap. 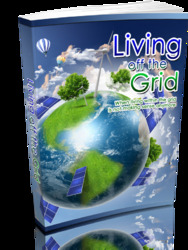 A sustainable energy future must rely on renewable sources of energy and gas is not renewable. More importantly, the supply of gas available in the world is limited. *The Russian Federation contributes 47,730 billion m3 to this total. Source: World Energy Council. As Table 4.1 shows, current proven reserves are expected to last for around 60 years at current levels of consumption. North America and Western Europe are taxing their known reserves most heavily. At 1999 rates of gas production, proved reserves in the USA would be exhausted within 9 years. However the estimated reserves remain enormous so this is no immediate cause for concern. In Western Europe, the Netherlands and Norway both have extensive reserves remaining. Elsewhere proven reserves are in a similar or worse situation to that in the USA. Indeed Western Europe is having to rely increasingly on imports, primarily from Russia and Algeria, to maintain its supplies of gas. From an energy security perspective, this could become a dangerous situation in the future.